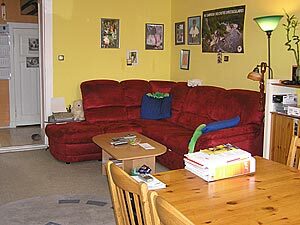 The living room can be used by guests. ... are a multicultural pair. Gabriele is a real Berliner, but besides Berlinerisch also speaks English. She works within the social range with children and travels very gladly, at least travels every 2 years with her husband for some weeks to the homeland of her husband to Africa. Mathieu comes from Cameroon, lives since 11 years in Berlin. He works full-time in metals works constructions and in his spare time cares his honorary for Cameroonian kids in Berlin to promote them in football and Cultural dances from African e.g. The JuJu Dance group. He speaks beside German also English and French. 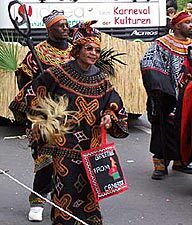 With the JuJu dance is to bring to the German public and show the world a special dance of humans from the western part of northwest of Cameroon closer. The JuJu dance is a true piece of African culture. The JuJu's is in masks which are an important part of African culture -with out it seems to be missing the traditional aspect. "Dance OF spirit" (the dance of the spirit) comes as great importance, since the African believe in the present of the ancestors. 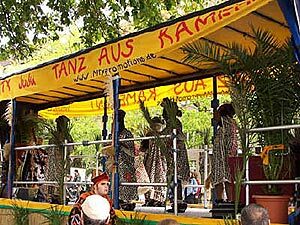 If you are looking for acommodation during the Carnival of Cultures in Berlin have a look here. 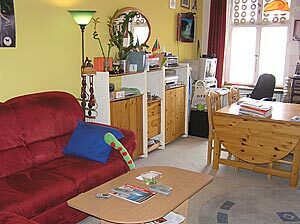 The 85 square meters large accommodation is situated in the Manteuffelstrasse on th e3rd floor. You will live in one of the 3 rooms. 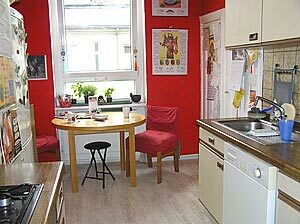 There is a living room, a kitchen and a bath which can be used beside with the host. In the kitchen there is a stove with baking-oven, microwave, toaster, coffee machine, water digester, refrigerator, table-ware, glasses and mess kit. 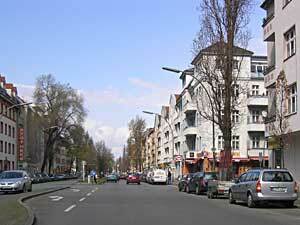 You find us in Berlin Tempelhof, southern city of Berlin from the center. 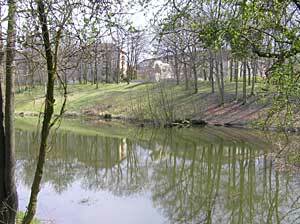 From there lets to the city of Berlin by the good underground binding excellently to be explored. The U6 takes you e.g. To Berlin Schönberg (e.g. 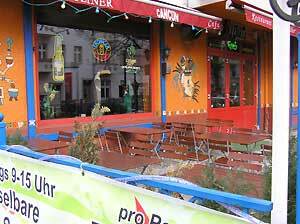 Motzstr.) drives also 24 an hour bus of the M46. to the north direction about 500 m to the Berlinickeplatz (or take the bus M246 and/or at night N84 1 station) and from there is 18 min drive to the beautiful mountain of Schönberg. Within fewer meters on footpath are e.g. a Lidl shop, Aldi market and some restaurants. e.g. the Café Charlotte at the corner Attilastrasse With a universe you CAN eat and drink - Break fast from 9:00am - 14:00pm at a price of 5,95 euro and a daily universe you CAN eat - (evening Buffet) from 18:00pm - 22:00pm likewise at the price of 5,95 euro. 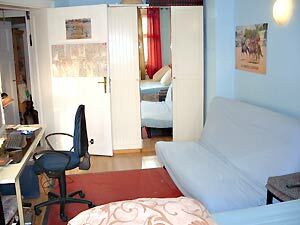 It is a 28 square meters room with its own balcony suitable for 1-3 guests. 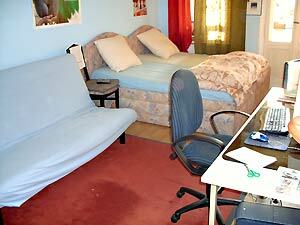 It has a single bed (approx. 1 m broad) and a sleeping couch (approx. 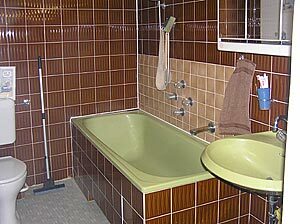 1,50 m broad) for up to 2 persons. In addition there is in the room a wardrobe for placing your belongings, a television and a computer with Internet connection, which can be used free of charge. The park situation is relatively relaxed. You may find directly in front the house no parking lot , but there is a large free parking lot opposite at the Gaessnerweg free of charge. You can receive breakfast sub charge for 5 € per guest. You can come along with your dog - surcharge for it: 3 euro a night. To the undergound station Kaiserin -Augusta Str it is approx. 5-7 min on foot (500 m). Or you take the bus 184 to the underground station. 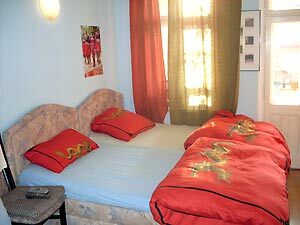 This bed and breakfast room is made available by Privatzimmer Sens, Agency for holiday apartments and guest rooms in Germany.